A hub of ocean-related activities "Ocean Hub Yokohama"
Yokohama that was connected with the world since the opening of a port in port, and developed by connection with the sea. Company, educational institution, research organization related to the field of ocean presents various activities. With such all of you, we push forward approach towards base "Ocean Hub Yokohama" of activity about the ocean. Yokohama-shi evaluated that we wrestled transversely in various fields as "challenge" to "Ocean Hub Yokohama" in "the Middle four years plan" about the ocean. 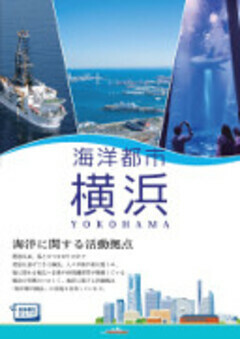 In Yokohama, we have characteristic that many companies, universities, research organizations, government offices about "the ocean" are located. We make use of this characteristic, and it is in base of various activities including education, study, industry and aims at realization of "Ocean Hub Yokohama" that can feel possibility of the sea close. We established "Marine Association of Yokohama" that product government college cooperated more than before on September 28, 2015 and developed approach about the ocean. Mainly on this meeting, we push forward activity and information dispatch about the ocean from Yokohama. We aim at ... "Ocean Hub Yokohama" on December 3, 2018 and extend talks and interchange such as company, research organization, university! ... sea kon 2019 "innovation convention industrial with the sea" prior registration start! We performed suggestion, request to country about promotion of marine policy from Yokohama-shi. Four ships full of charm of - sea are held costarring ... "Ocean Hub Yokohama Sea Expo 2017" on June 7, 2017! 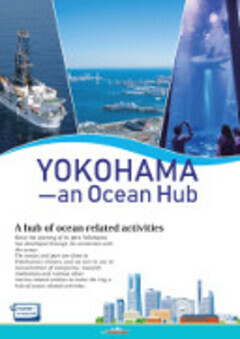 We aim at ... "Ocean Hub Yokohama" on June 9, 2017 and extend interchange such as company or university about the ocean! We hold ... "Scottish company, business interchange seminar in Yokohama with university" for the first time. 21,000 people arrive to ""Yokohama Sea Expo" on August 7, 2017! Charm that the seas are various from ... child to adult bodily sensation - "
... "Ocean Hub Yokohama sea Expo" first holding to know - sea on June 15, 2016, and to touch, and to learn, and to enjoy! We held the "Ocean Hub Yokohama sea Expo 2018" to have many citizen's all of you touch various world of the attractive "sea" of Yokohama including children who carried the future for two days on 22 Sunday on Saturday, July 21. We added to visit fair of four ships which we could not usually see including study ship and ship for exclusive use of huge car which we could load with about 7,000 cars which had great popularity last year which played an active part in battle front of the deep sea investigation this time which became the third and loaded workshop and creature which could learn happily about the sea to full capacity with various charm of the sea such as touched booth display and came over to about 23,000 customers in two days. "The sea and industrial innovation convention" (the sea kon 2019) ended in the large prosperity! In addition, we will plan holding next year in the following schedules. As it wants to enliven marine industry of our country through this convention, person having interest, please feel free to contact exhibition or the support until charge. We look forward to your participation. It was visited Japan, and Fiona hisuroppu culture, sightseeing, anti-outside minister of Scottish autonomous government concerned made joint communique between Yokohama-shi on Wednesday, July 4, 2018. As content of joint communique, we advocated four themes (culture, sightseeing, marine industry, sports, interchange between universities) and confirmed about promotion and mutual cooperation of interchange in future. We laid and held interchange meeting led by company, research organization, university of meeting while Fiona hisuroppu minister, Kobayashi deputy mayor attended about "marine industry" that was one of the themes in response to announcement of joint communique on the evening of the day, and aggressive interchange was performed between the people concerned. We performed interchange cooperation joint communique with International Affairs Bureau press release document autonomous government Fiona hisuroppu minister of Scotland on July 4, 2018! We added and company, university of U.K. Scotland where marine industry was prosperous visiting Japan as base of North Sea oilfield development and held "business interchange seminar" in Yokohama. We hold press release document "Scottish company, business interchange seminar in Yokohama with university" for the first time on June 9, 2017.